You know the feeling. Sitting in bumper to bumper traffic, no one moving, no exit for miles, and being completely and utterly stuck on the highway. Perhaps you are in the city, cursing yourself as you realize that it would have taken the same amount of time to walk to work as it does to sit on the bus next to a person who smells like they haven’t showered in a week. It turns out, as with almost everything, there is a scientific reason behind it. 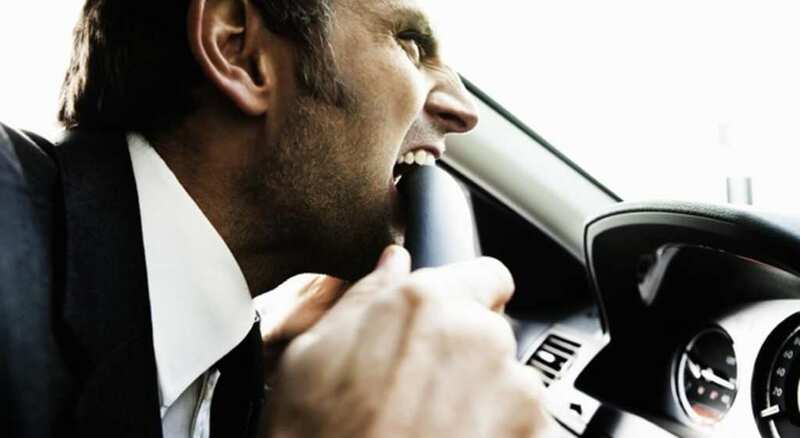 Every year, people spend up to a full week’s worth of time sitting in traffic, on average. In bigger cities, this number can rise to two weeks! Considering that there are only 52 weeks in a year, this is a lot of time – and life – wasted just sitting in a line waiting to move. You might think this is because there are just too many people on the road. It’s times like these that you may think about moving to the country, or just wishing that a new plague will come to wipe some of these drivers out. Maybe all this traffic is due to an accident that people need to get around? Or perhaps it is because there is construction, or the road narrows from four lanes to two? Well, these are all factors in traffic, but they aren’t the cause. They all share one similarity however – speed. Or rather, the lack thereof. As long as traffic moves along at a steady clip along a highway, it doesn’t matter how many cars on the road, the cars will all keep moving. 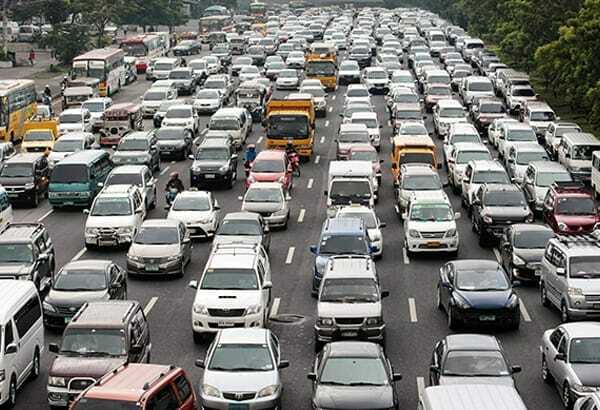 However, all it takes is one car to switch lanes unexpectedly or an accident on the side of the road (IE rubbernecking motorists) for a traffic jam to occur. As one car hits its brakes and slows down, the cars behind the first car will do the same in order to maintain a safe distance. 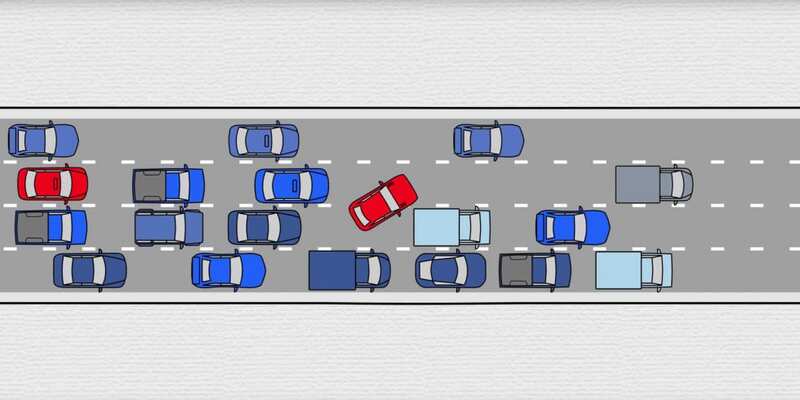 This process then happens to the cars behind the first and second cars, eventually creating a chain effect of thousands of cars and trucks slowing down. The more cars behind the first car which hit the brakes, the more traffic will slow in an exponential manner. When traffic on a highway comes to a standstill, it is because there are so many vehicles behind the initial car which have slowed down that traffic has stopped. As mentioned above, traffic slows at an exponential manner. Let’s say a car traveling 70 Mph needs to slow down to 65. The car behind it will hit the breaks and go even slower in order to maintain distance between the two cars. The car behind that car will do the same, and so on and so on until the speed finally hits 0. Why do traffic jams just disappear? The cars in front of the jam usually get back up to speed pretty quickly, enabling the cars behind them to get back up to speed, and so on and so forth. When the number of cars getting back up to speed are fewer than then number of cars in back, then traffic slows down and gets piled up. But once the number of cars getting up to speed is greater than or equal to the number of cars waiting in the back, the traffic unclogs, and you are able to travel at a normal speed again. That is, until the next person decides to slow down!